FFF stands for the Fat Finger Federation, a club my friends and I created in middle school because we all had chubby fingers. Some of those friends have grown out of that stage, but not me! I still have pretty chubby little stumps on my hands. Since we got married two years ago, I’ve gained some weight. Not a ton, but enough to put me up a size or two in clothes… and rings. I never take my wedding rings off. Ever. As a result of that and the extra weight, my left ring finger is now deformed. I have been taking this one off every night before bed, but sometimes I forget to put it back on in the morning. Hopefully it will become a habit soon! I take my ring of every night and put it on a ring holder on my nightstand, before I had a nightstand I kept the ring holder where my keys are because I could not leave the house without them! 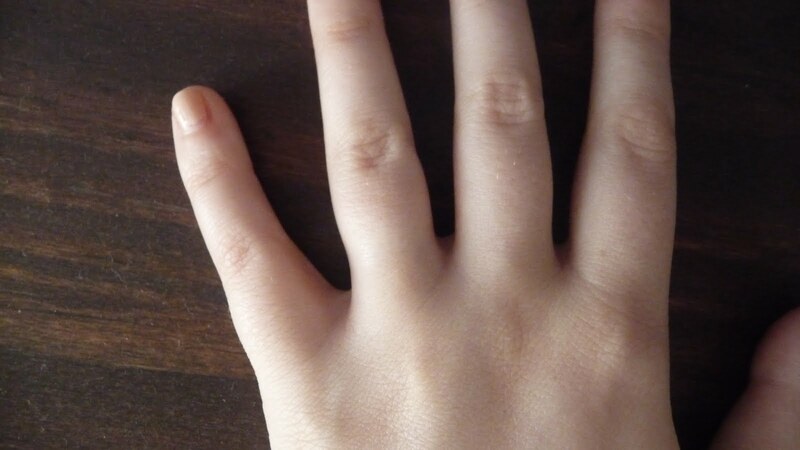 I used to never take my rings off, until I started to have an allergic reaction to them. Now my ring finger is red and raw so I decided to take my rings off for good until I can have them looked at. 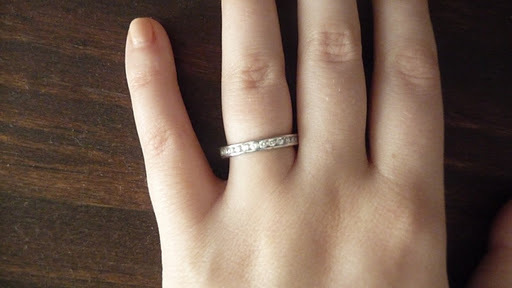 They are both white gold (I was there when we bought them so no trick rings here, LOL. Bummer! But cute replacement ring. I have one like that I wear on my right hand, and nope, not allergic to it. So annoying! I never, ever take off my rings either, and have a permanent indent on my finger because of it.That is a really pretty ring for the price! And such a good idea to have a 'stand in' ring in the meantime.